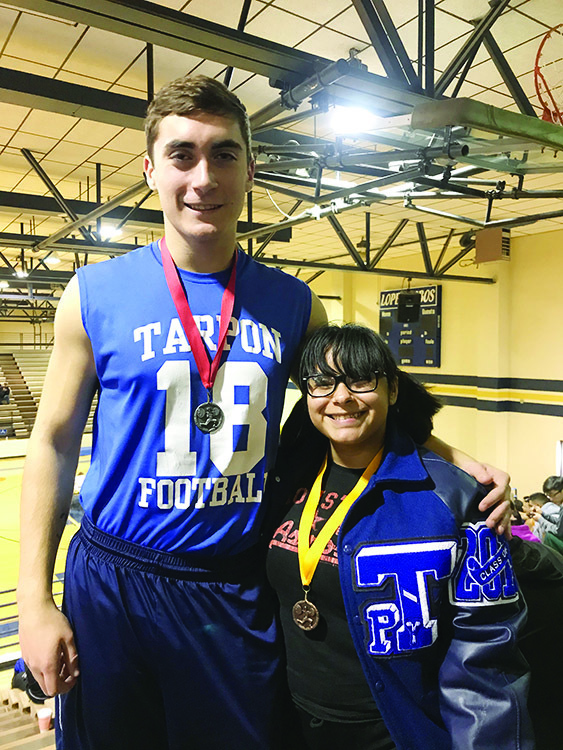 Port Isabel High powerlifters Julianna Barrera and Dagan Wise each took home gold medals from last Saturday’s meet at Brownsville Porter High School. It was a return trip to Brownsville for the Port Isabel High men’s and women’s teams, and Wise and Barrera both improved on the total lifts they recorded two weeks earlier in the season’s first meet at Lopez High. Barrera’s total lift at Porter on Saturday was 935 pounds and Wise totaled 1,300 pounds for his three lifts. That was a 65-pound improvement for Barrera and 50 pounds for Wise. It was each lifter’s first gold medal.